Have you seen these new tomatoes from Del Monte? Chipotle and green chilies are two of my favorite flavors. I always have cans of chipotles and cans of green chiles in my cupboard. I was thrilled when I saw that they were combined with Del Monte tomatoes. I scooped these up as soon as I saw them, knowing they would be good. First thing I tried them in was my Italian Zucchini with Tomatoes. So, so good! Looking for some game day recipes? Try Cincinnati Sloppy Joes. Love these with the Del Monte tomatoes with Green Chilies. 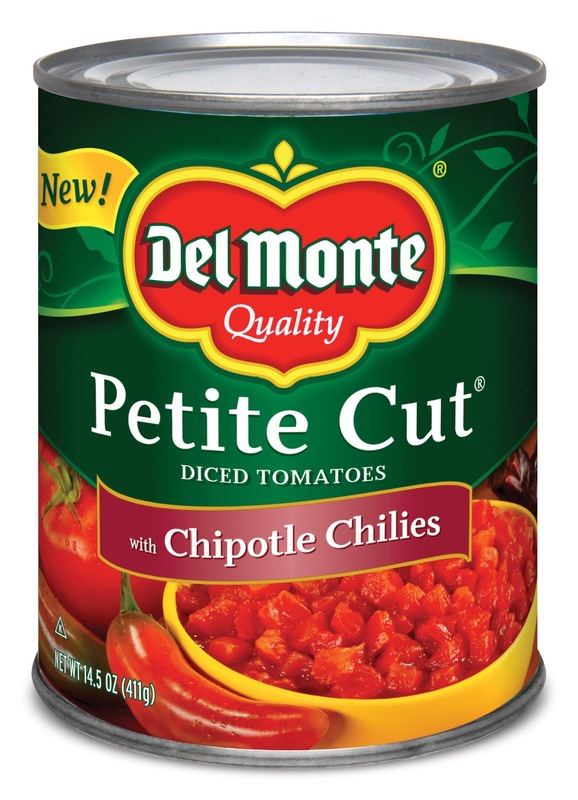 The new Del Monte Southwestern-Style Petite Cut Diced Tomatoes are the perfect way to spice up main dishes and snacking recipes. 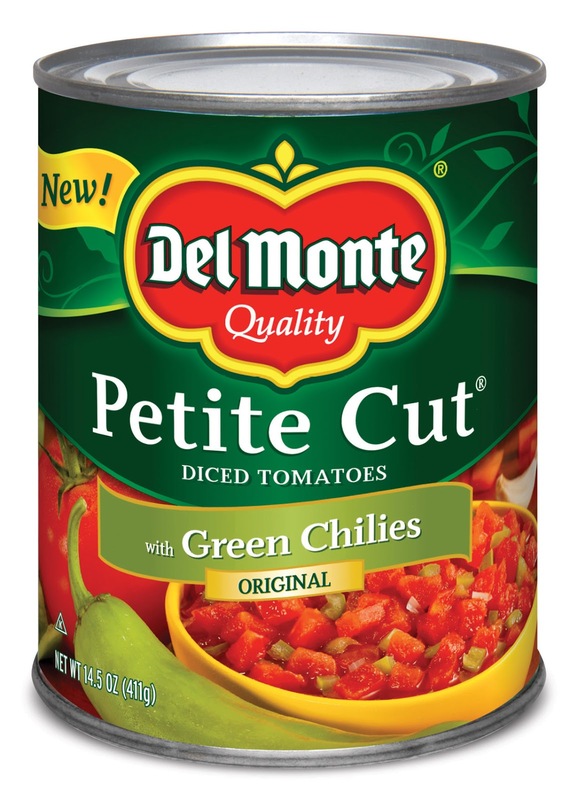 Del Monte canned tomatoes, fruits and vegetables contain the same essential nutrients as fresh varieties. The majority of Del Monte products are picked at the peak of ripeness and canned on the same day, to ensure nutrients and flavor are locked in. Del Monte is having a sweepstakes involving pinterest! Pinterest rocks! You can win an awesome home entertainment package, check it out here. 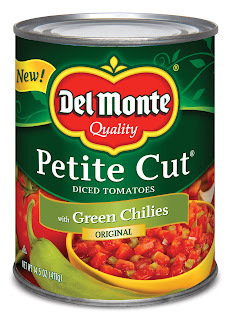 Del Monte was generous enough to give me a couple of extra cans of tomatoes and a $25 gift card. They are offering to give one of my readers the same package. Entry #1 - Leave a comment here letting me know what you'll possibly make with these new tomatoes. Entry #2 - Check out Del Monte's pinterest board, follow them and let me know in a comment that you did! 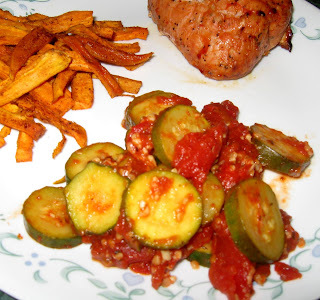 Entry #3 - Enter the Del Monte giveaway and come back and let me know that you've entered. Here is one more of my favorite game day recipes. Chili is awesome but when you add buffalo sauce and these tomatoes, it's the best! Buffalo Chicken Chili.